The first three episodes of Riverdale have gone so well, I feel like checking over my shoulder to look for the ghoul that is certain to come and ruin it. “Chapter Thirty-Eight” sees the core four building up much of their stories individually, which is sort of a nice change. 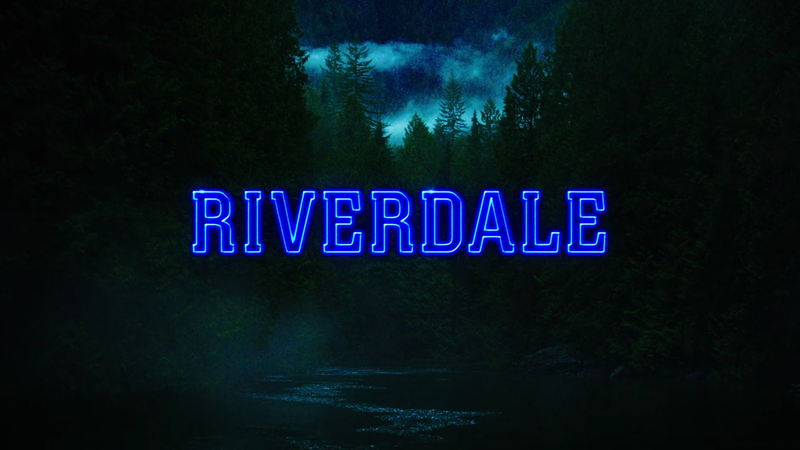 Betty and Jughead split up their tag-team, Veronica busies herself with the opening of her new speakeasy, and Archie has ‘fun’ in solitary confinement! Archie, poor kid, continues his life in prison as the warden’s new target. The boy is cut off from his father and any other visitors, seemingly for the foreseeable future. And he soon finds out exactly why. He’s entered into a series of bare-knuckled fist fights, of which the prison wardens and guards bet on fights like the boys are dogs. Archie soon learns how to take care of himself, but quickly realises that punching people and being punched isn’t a sustainable hobby. When he discovers a pick inside one of Mad Dog’s books (The Count of Monte Cristo, no less), Archie becomes inspired to break out of prison. I’m not sure whether anyone wants to tell him that’s probably not a super idea considering he couldn’t just walk as a free boy. Meanwhile, outside of the prison, Veronica opens up her speakeasy. Unsurprisingly, her father’s meddling begins before the doors even open. He enlists the help of Penny Peabody and her Ghoulies to stir up trouble. They send her boxes of Jingle Jangle after she refuses to hire the Ghoulies as bodyguards. In retaliation, Veronica, Toni and Cheryl go to the Ghoulies’ Jingle Jangle lab and take photos as evidence to use against Hiram. This seemingly works, as the Ghoulies back off. But after the opening, Veronica realises that her father has already moved the lab, making all of Veronica’s ‘evidence’ worthless. But clearly, the best plontline here is the mystery of the season (as it always is). Betty and Jughead continue their investigation into the Farm and Griffins & Gargoyles. Betty (very loosely) puts the Farm and the game together, believing that they are connected by a leader. Why she thinks this is a bit vague. Only that the two timelines seem to match up. A bit of anger just might be getting in the way of Nancy Drew’s thinking here. When Jughead and Betty find Ethel has returned to school after her seizure, they go to speak with her. She admits that she’s taking medication for them since she’s been having them frequently. She also tells them that Evelyn (daughter of cult leader Edgar) has been helping her. Jughead then volunteers to join the game, and Ethel admits that he is worthy enough. When Ethel tells Betty she’s definitely not G&G material, Betty decides to join the Farm’s school branch instead. When Betty arrives at Evelyn’s meeting, she finds that no one else is there. Evelyn explains that it’s because the rest of the school hasn’t caught on yet. But instead of being creepy like in the last episode, Evelyn is much more sympathetic. She’s more of a likable loser than anything. Could it just be another ploy? Maybe. But it looks like Betty’s mind is running away from her a little too much. But Betty’s meddling gets her into more trouble. When she arrives at home, she finds that actual Farm members are waiting for her. She learns at the meeting that her mother has spilt a few too many secrets – including the one about the hidden body. During the meeting, Betty begins to feel faint again, as if she’s on the verge of yet another seizure. Meanwhile, Jughead plays his first game of G&G with Princess Ethel. He successfully drinks from one of the chalices and survives. In exchange for proving his worth, Ethel gives him “the scripture”, which is essentially the game guide (I assume). But before Jughead can delve into things more, Ethel drinks from the other, poisoned chalice. Ethel ends up surviving her suicide attempt, which is both nice and horrible. The poor girl has been through a lot in three seasons, including her own father’s suicide attempt. When FP and Alice discover that Jughead has dabbled in G&G, they begin to lecture their children. FP finds and burns the game manual, which Jughead believed to be the only copy. Though when Jughead arrives at school the next day, he discovers that all of the students at Riverdale High have copies in their lockers. It’s confirmed, not to him, that it was Ethel’s doing. Anything to please her King. So does this mean anything? In the real world, probably not. G&G is essentially the equivalent to a twisted D&D. If they’re not already playing it, it probably won’t be of any interest to real kids. But this is Riverdale, so await a whole slew of G&G-ers soon! This episode really drove in the notion that FP and Alice were involved in something as kids. Their reactions over any mention of the game is pretty over-the-top. If you want anyone to listen, try subtlety. Next week’s “Chapter Thirty-Nine” will (hopefully) fill in the blanks with the anticipated flashback episode. I’m here for it.